The Scottish and UK governments could end up at the Supreme Court to settle rows about who has authority over devolved powers returning from Brussels after Brexit, a senior Scottish Tory has said. Adam Tomkins, the party’s constitution spokesman at Holyrood, suggested that the UK’s highest court could have its remit expanded to act as an adjudicator in areas where London and the devolved administrations agree to share responsibility after Brexit. 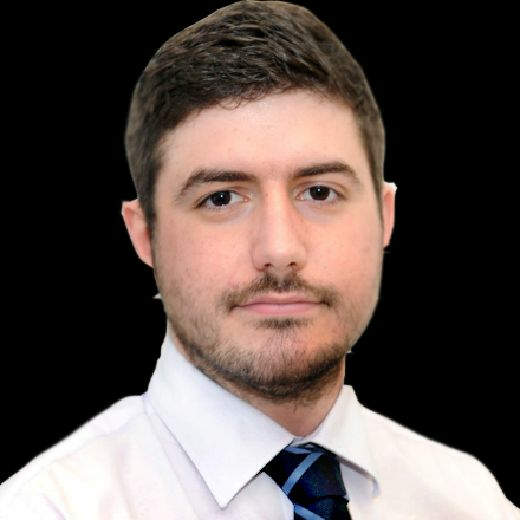 Mr Tomkins, an expert in constitutional law, said the Supreme Court could “police the boundaries of competence” between Westminster and Holyrood to “ensure that governments, including the UK Government, adhere to common frameworks that they agree”. The proposal raises the prospect of Scottish and UK ministers taking each other to court if they fail to resolve differences over aspects of agriculture and fisheries policy, or to make their voice heard on post-Brexit trade deals that affect devolved matters. London, Edinburgh and Cardiff are locked in talks to agree the structure of common frameworks that will see ministers make decisions jointly in scores of policy areas to avoid trade barriers within the UK after Brexit. Mr Tomkins’ comments come amid a growing row over the UK Government’s failure to amend Brexit legislation and remove the threat of a Westminster “power grab” over 111 responsibilities in areas already devolved to Edinburgh under the Scotland Act. MPs from all parties had expected changes to be made before the EU (Withdrawal) Bill leaves the Commons for scrutiny in the Lords next week, as committed to by the Scottish Secretary David Mundell. However, as first revealed by the Scotsman on Tuesday, ministers ran out of time due to the Christmas break and the resignation of Damian Green, the minister in charge of securing agreement on amendments with the devolved administrations. 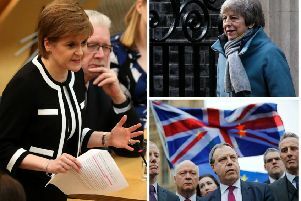 Scottish Conservative MPs who demanded changes to Clause 11 of the Withdrawal Bill, which deals with devolution, will come under pressure on Tuesday in the final stage of Commons debate to vote against the government. “I think there are implications in this for the future jurisdiction of the Supreme Court,” Mr Tomkins told Scotland on Sunday. “In most countries that have multi-layered government, whether its devolution or federalism or anything in between, one of the roles of the Supreme Court is to police the boundaries of competence between the governments. Talks between London and the devolved administrations have yet to get into the detail of how common frameworks will function, but UK Government sources also recognise the need for an arbitration system. “The issue is that after Brexit, you’re no longer going to have entities like the European Commission and the European Court of Justice to refer to,” one source said. Another model that could be considered is the creation of independent statutory bodies to police ministers in place of the EU. Environment Secretary Michael Gove announced the creation of one such body this week as part of the UK Government’s 25-year green strategy in England. However, for common frameworks that are based on legislation, as at least some are expected to be, the Supreme Court would act as the final referee. Akash Paun, a senior fellow specialising in the constitution at the Institute for Government think tank, said: “Common frameworks between the UK Government and devolved administrations will come in a variety of formats, and many of them will be at an informal, consultative level. “However, in areas such agriculture and fisheries, legislation is likely to be required in order to establish those common frameworks. “Ministers have to act in accordance with legislation, so if at a later date, the Scottish Government believed that its role in decision making as set out in a framework was being ignored or undermined, then that could be subject to enforcement through the courts. Mr Paun added: “Under the UK constitution, policy areas are usually either devolved or reserved to Westminster in full. We have a weak conception of shared responsibility between central and devolved government.